Last week’s Parliamentary chaos - a landslide defeat for Theresa May on her deal on Tuesday, followed by the ruling by the Speaker that she cannot bring the deal back to MPs in its current form - demonstrate that Parliament’s processes for agreeing trade deals and other international treaties are embarrassingly inadequate. In response to the gridlock, the EU’s Chief Negotiator Michel Barnier pointed the finger of blame directly at the UK Parliament. 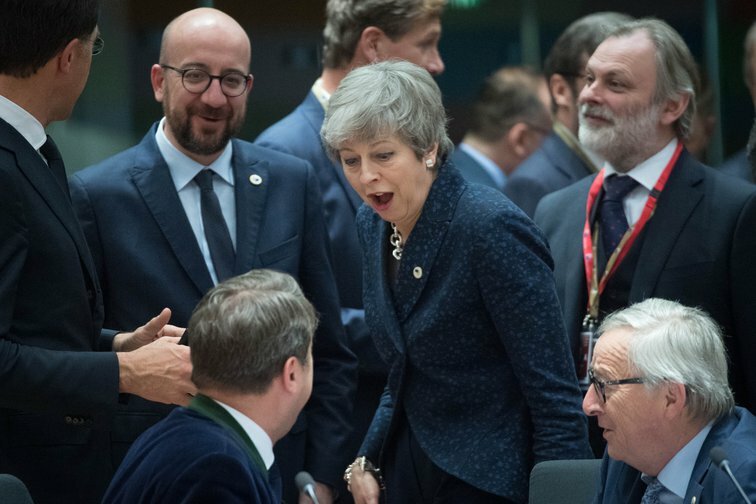 In contrast, the European Parliament and Council appear impressively clear-sighted and united - betraying barely any dissent to the EU’s negotiated deal. It is easy to blame chaotic MPs who can’t sort out their differences and unite in the national interest. But last week’s chaos (and indeed the chaos of the last four months since May first put her deal before Parliament), results directly from the UK’s archaic process for scrutinising international treaties. This process only involves MPs at the very last minute, if at all, which means Parliamentary gridlock is inevitable. Indeed, the only reason May has given MPs a ‘meaningful vote’ at all, is a result of political pressure and an amendment to the EU Withdrawal Bill, which passed after Dominic Grieve and other Conservative MPs rebelled against the Government. Without this amendment, the process would have been the same as with any other international treaty, which does not guarantee MPs a meaningful vote. In general, parliament’s process for agreeing international treaties, whether it is trade deals, defence agreements or the Brexit Withdrawal Agreement, dates back to an archaic convention which separates the roles of executive and legislature. The executive, that is, the Government, has the ‘Royal Prerogative’ to do what it wants on anything that could be called foreign policy. The legislature, i.e. Parliament, is solely responsible for domestic policy. What this means in practice is that the Government of the day can, without even informing MPs, let alone seeking their support, enter into treaty negotiations with another country. These treaties are negotiated in secret and not presented to Parliament until after they are signed - as has been the case with Brexit. A historic convention called the Ponsonby Rule means the treaties do not even require a vote in Parliament to be ratified, they just have to be laid before Parliament for 21 sitting days. Brexit has provided the ultimate test to this flawed system of treaty ratification. Not only is it a hugely divisive issue, but also the Prime Minister lacks a majority in Parliament, and her own party is divided. Despite these circumstances, Theresa May set out into Brexit negotiations as though she was a 1920s Prime Minister negotiating a post-WWI defence treaty. In the 1920s, Parliament didn’t expect to have much of a say over such treaties, not least because no international treaty at that time would have had anywhere near the domestic policy implications that Brexit has. She should have anticipated the level of backlash she would face in Parliament, from across the House, on her return. The nature of international trade agreements in 2019 is that they affect a huge swathe of public policy. Ordinary voters expect their representatives to have a say over such agreements. This does not apply only to Brexit: a new trade deal with the US, for instance, could have far-reaching impacts on food and health standards, as made clear by the US Government’s own outline for a UK-US trade deal. If MPs feel like they didn’t get much say over Brexit, they are in for a nasty shock when it comes to post-Brexit trade deals. The solution is surely to involve MPs from the start. If May had not begun negotiations until Parliament had supported, with a majority, what she would set out to achieve, it would be much harder for MPs to turn around and block her deal. Involving MPs in discussions throughout the process, rather than holding negotiations in strict secrecy, would also help. To different degrees, these are models of treaty negotiation pursued in the EU, Australia and even the US. Although it is too late for the Withdrawal Agreement, the practice of involving MPs from the start of treaty negotiations is essential for a democratic trade policy after Brexit. In a globalised world, there is no clear demarcation between the Government ‘foreign policy’ remit and Parliament’s ‘domestic policy’ remit. Brexit is the epitomic illustration of that reality. MPs must be involved from the start - or they will destroy things at the last minute.